Ada pertanyaan untuk Ming Shan Villa? Dirancang untuk wisata bisnis dan plesiran, Ming Shan Villa terletak strategis di Distrik Dashu, salah satu daerah lokal paling terkenal. Dari sini, para tamu dapat menikmati akses mudah ke semua hal yang dapat ditemukan di sebuah kota yang aktif ini. Dengan lokasinya yang strategis, hotel ini menawarkan akses mudah ke destinasi yang wajib dikunjungi di kota ini. Di Ming Shan Villa, pelayanan istimewa dan fasilitas yang unggul akan membuat pengalaman menginap Anda tidak terlupakan. Hotel ini menyediakan akses ke sejumlah pelayanan, termasuk WiFi gratis di semua kamar, layanan kebersihan harian, check-in/check-out pribadi, layanan taksi, check-in/check-out cepat. Akomodasi hotel telah dipilih secara cermat demi kenyamanan maksimal dengan adanya televisi layar datar, akses internet - WiFi, akses internet WiFi (gratis), AC, meja tulis di beberapa kamar. Hotel ini menyediakan sejumlah fasilitas rekreasi seperti taman. Dengan lokasi dan fasilitas ideal yang setara, Ming Shan Villa dapat memenuhi berbagai macam hal. 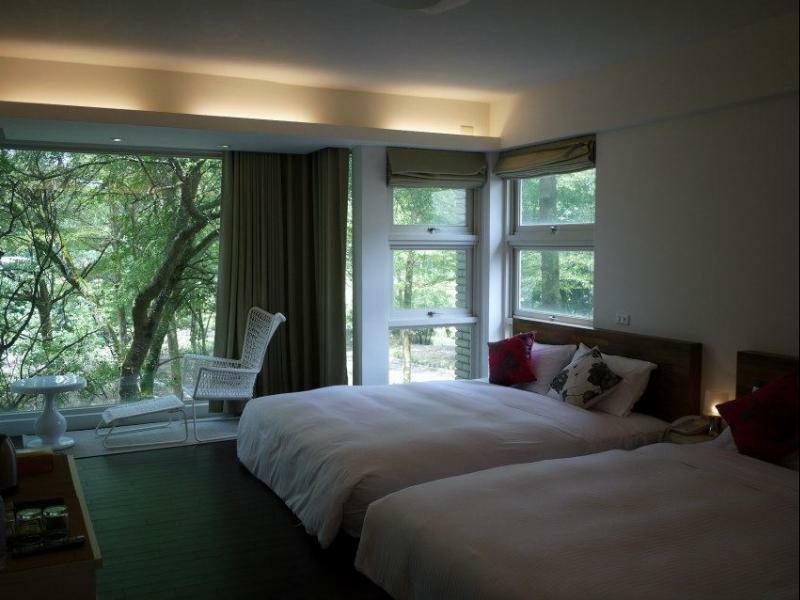 The location of this Villa/Hotel/B&B is great if you're looking to stay nearby the FoGuangShan Buddha Museum, if you're driving then getting to the place won't be a problem at all. Public transportation might be limited, but it's located right off the main access road between EDA and Buddha Museum, so don't worry about it being in the middle of nowhere. Upon arrival, the super friendly staff had our reservation files printed out and waiting on the table already, despite of it being made quite last-minutely. After receiving the keys, we walked into the room to find a pleasant surprise. In the middle of September it's still VERY hot in southern Taiwan, and the host had turned the AC right before our scheduled arrival to ensure the room was cool enough to receive us. The next morning, breakfast was served individually with some homemade Taiwanese vegetarian goodness, and all-you-can-eat rice porridge, toast breads plus spread and peanut butter. The host greeded and assisted us till we loaded everything back onto the car and left. This place made me want to just stay there for a few more days! Definitely recommended !!! When traveling with public transportation, it can be difficult to find good places in the country side. Ming Shan Villa is close to the Fo Guang Shan Monastery that we wanted to visit. The Villa has an excellent staff that works very hard to please even if their English is very limited. 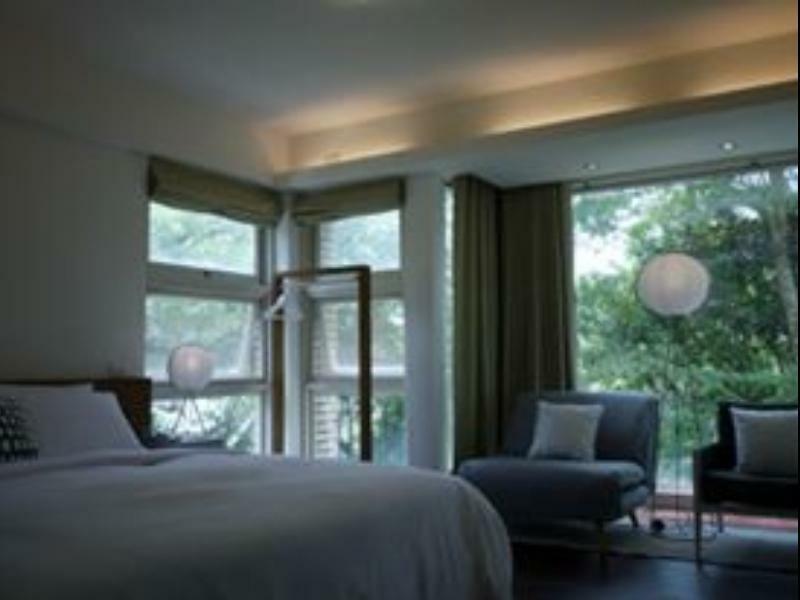 Room was large and luxurious, with excellent bedding and wonderful bath room. Internet signal is good. Breakfast was alright, all vegetarian, but no fruit and no rice. It was disappointing that the Villa did not service lunch or dinner and had no drinks for sale. There are no bicycles or motorcycles for rent, so it is either walking or the bus (route 8501), no eateries or convenience store nearby. E-DA is not too far away, but the road is hazardous for pedestrians. When traveling with our own vehicle we would definitely stay here again as it is a very nice place indeed. Very spacious! Great value and nice staff! Breakfast is tasty! Suitable for vacation feel. But do take note that there's no lift. Clean, quiet and well maintained property. Very friendly staff. Good for rest and relaxation. Large guest rooms. Fairly good and nutritious breakfast. Unfortunately, property not conveniently located. Local bus service not regular. Have to rely on taxi service. staff is excellent. breakfast is also nice. decorations reflect owners' attention to run the motel good, these are very much appreciated. however , this is a household motel, the floor is made of wood in form of a wooden platform. as people walks, even if you walk lightly, the foot steps is amplified and be transmitted. walls between rooms cannot provide enough sound insulation , can hear people next room talking and their foot steps. i believe next room could hear us too. the roof top has four 4G attenna, which create high EMF (electro-magnetic field) which has a negative impact on health while providing convenience of 4G mobile phone signal. the purpose of this trip for us is to get away from city neighbours' noise and away from EMF in the city....i like the environment but something still missing. anyway, thanks for your kind warm welcome. The location is a bit remote but acceptable as it’s accessible by bus. The environment is nice. The staff is friendly and helpful. A pleasant and enjoyable stay. Nice place to bring kids with. Quite and cozy places. We didn't drive but take take from/to the city center. It's better to drive if you have many luggage. location, the design and the quiet. had a great time here. Would come back again. Nutritious breakfast. Very friendly and helpful staff. the location is very quiet and relaxing. slightly harder to find but it is easy access with taxi.